Crisp, pale-blue skies, bright sunlight and the promise of longer days... what's not to love about Ireland in spring? Spring is the perfect time to make your own Ireland postcard, complete with rolling green hills, technicolor hedgerows – and hundreds of frisky, wriggly, newborn lambs! Each year at this time, new life is breathed into fields across Ireland, when lambing season transforms the many mountainsides into wool-flecked works of art. And the best thing about it all? You can get up close and personal with these cute critters by visiting any one of the countless farms that let you meet the lambs; or even watch the highly skilled sheepdogs that work to herd them all from place to place. You know you were thinking about this one – and we can’t blame you! St Patrick’s Day is undeniably the highlight of Ireland’s social calendar, bring the whole island to life in an explosion of parades, music and green, green, green at every turn! While Dublin’s celebrations are perhaps the most famous, countless festivals are held across every county, bringing color, light and life to this patron saint’s ancient legacy. For a real glimpse of the action, check out the Home of St Patrick Festival in counties Armagh and Down – spread across 17 days, this is one you won’t soon forget. Among the 40 shades of green you’ll find here are the green fingers of the people. Ireland is blessed with hordes of talented gardeners, busy landscapers and dedicated locals who love to tidy up their towns and share the spoils across our many beautiful public parks. 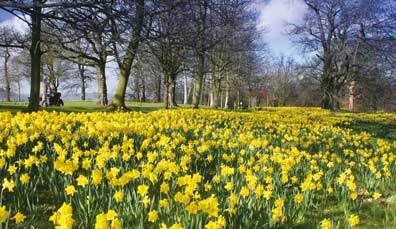 Spring is the perfect time to reap the benefits of the hard work that’s put in throughout the chilly autumn and winter months, with vibrant crocuses, silky tulips and luminous daffodils lighting up many a quiet corner. The Belfast Botanic Gardens are particularly spectacular, as are the grounds of Blarney Castle in County Cork; but for a real glimpse of wild beauty within the city limits, make your way to Dublin’s Phoenix Park and watch the fallow deer enjoy the returning sun. It’s well known that Ireland’s weather is mostly mild year round; still, it’s natural for a lot of people to want to holiday in the summer. This pays big dividends for any lucky spring visitors, who can find it easier to find a spot at all their bucket list locations. From drinking in the views from the Cliffs of Moher all by yourself; to easily flagging down a cab for an unforgettable Belfast Black Taxi Tour; or snapping a pic of the deserted Game of Thrones® Kingsroad at the Dark Hedges, there can be huge benefits to making the trip to Ireland a little sooner than planned. Check out what you can expect to see on your spring tour of the prettiest little island in the world! 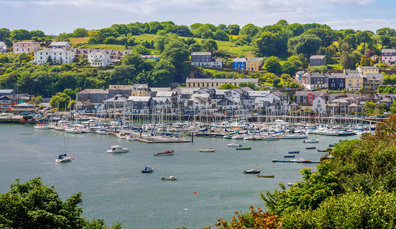 If you love Ireland in spring, why not stay a little longer? We’ve got summer all lined up for you! 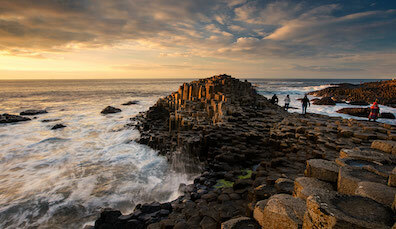 Make your way to Belfast and the Causeway Coast to see why they are Lonely Planet’s favourites!